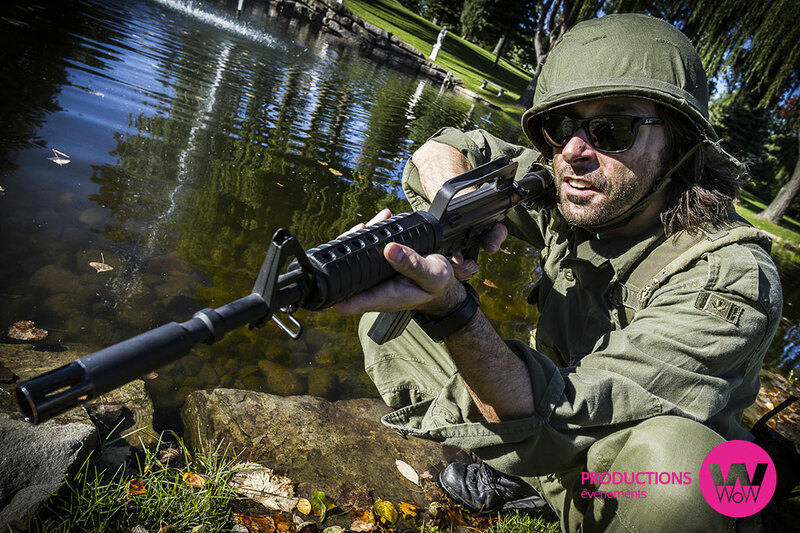 Les Productions WOW hires the best specialists to design efficient team-building programs. Many of our competitors are improvising their way into the team-building field – make sure to investigate the people you are hiring and ask for references! We can develop capacities for team working using different angles. You will be able to improve your group’s performance, and discover the strengths and weaknesses of its individual members. Our team building exercises include many components such as different social activities that encourage participants to better know each other so that they can better engage in different contexts. The exercises designed by Les Productions WOW will help your team face different issues and find solutions to resolve them. Our facilitators will assist them in finding the efficient solutions they need. This activity is based on transmitting information, choosing efficient messages, receiving messages proactively and determining the appropriate action. The challenges faced focus on the ranking of tasks according to priority and adapting to upcoming changes. Theses challenges show that good planning is essential before implementing a solution. Each team will need its creative spirit and its ability to think up different solutions – so let your imaginations reign! You will learn that solutions here are not readily apparent and that resolving a problem will not be possible without vision and creativity. You must prove to your colleagues that they can trust you and, in turn, prove safe to you. Trust between coworkers is very important so that they can count on each other to achieve their goals. Does your team need a boost of energy? Our Boot Camp/Military Training is a team-building activity that pushes limits and encourages group cooperation. As you evolve under the orders of a most inspiring corporal, you will run, crawl, climb, and even invent your own military anthems! The teams must pursue action-filled missions such as: clearing mines in a dangerous field, preventing enemy teams from entering their territory or bringing back the wounded to base camp according to a set route! Prepare for a totally intense day! Is your team handy? Would you like to get immersed in an extraordinary group activity? 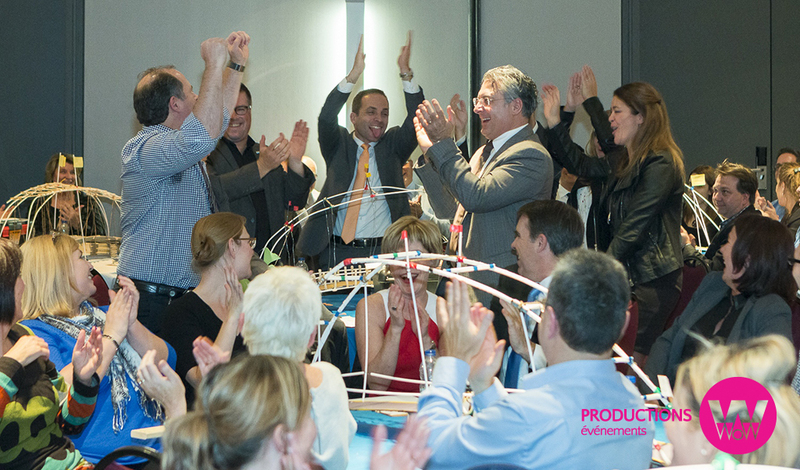 Our BUILDERS team building program is exactly what you need! Each team is given the tools and materials to build a bridge. 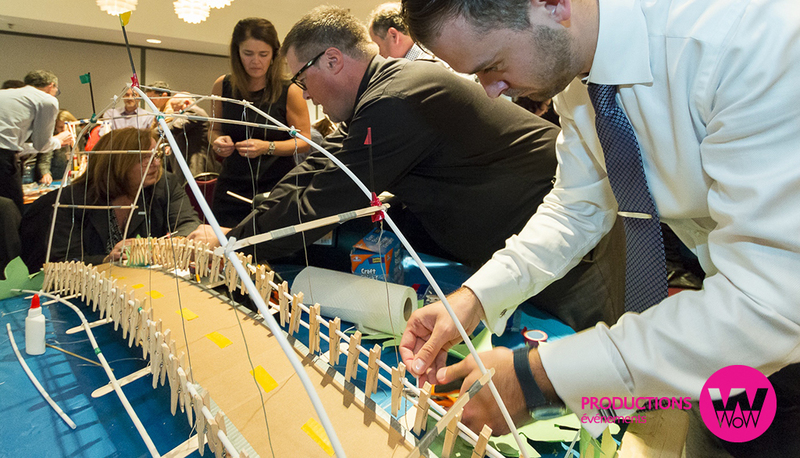 At the end, our team of experts will test the bridges that the participating teams have put up! You must make sure your bridge can endure! Given the resources, imagination and time elapsed, which team will perform best and prove the most efficient? Do you need a motivating, and very human challenge? 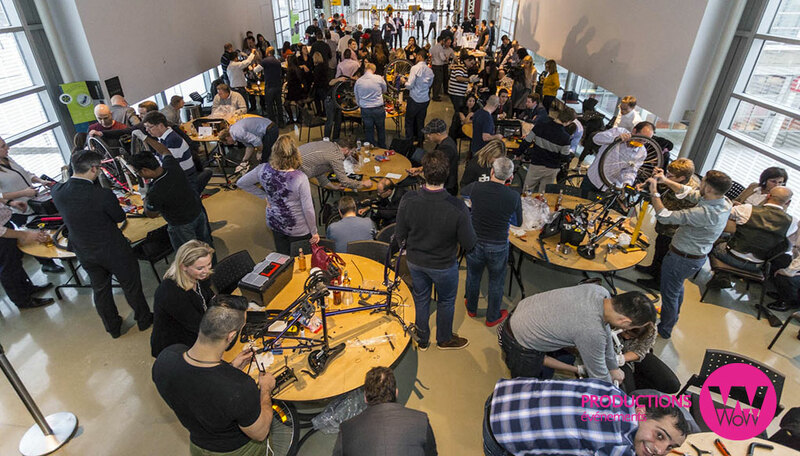 The “Pimp My Bike!” team-building activity puts your team members together in an ambitious project that requires careful listening, mutual assistance, handyman skills and resourcefulness! Yes, you read well: by harnessing their knowledge of mechanics, your team members will have to pimp up a used bicycle. There is no better way to get active and have fun than our OLYMPIAD team-building activity program! We offer a host of games that require team bonding and … fun! Volleyball, giant skis, obstacle course, gurney race, treasure chase, and many more to plunge in! At the end of the day, the top three teams will stand on a podium and proudly receive their medals.